Review by Philip Obenschain. Photos by Jake Giles Netter. 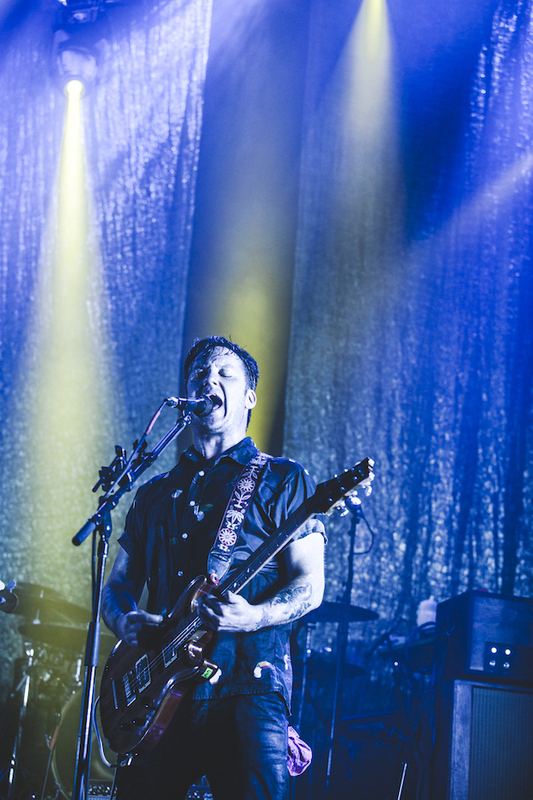 As we told you all about yesterday, modern indie rock legends Modest Mouse made their return to Nashville last week for two back to back nights at War Memorial Auditorium with Hop Along, the group’s first Nashville dates in eight years (despite playing a lot of nearby regional shows more recently). Our review and photos of night one more or less already summed up the entire experience, but, since we sent writers and photographers to both nights, we wanted to go ahead and bring you some night two coverage as well. Below, check out a quick summation of the band’s second show in 24 hours, plus a gigantic gallery of fantastic shots from Jake Giles Netter. Hop Along. Photo by Jake Giles Netter. 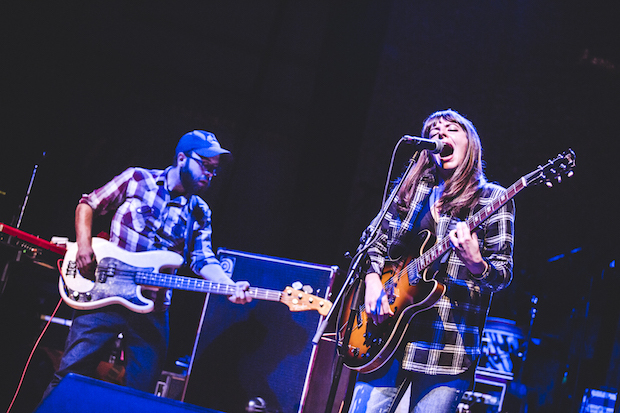 Kicking things off once again, Philadelphia grungy, indie, folk-infused rockers Hop Along once again proved adept in warming up the stage, despite playing to some very enthusiastic Modest Mouse fans who seemed somewhat unfamiliar with their music. Much the same the night one, their performance was short and sweet. I’ve seen them before, but never in a room so large. Hop Along have always been spectacular in smaller spaces, and proved that their sound scales to big stages too; definitely a welcome opening act. Modest Mouse. Photo by Jake Giles Netter. Glancing at prior setlists ahead of time, including night one in Nashville, I immediately noticed that Modest Mouse seemingly play whatever they feel like on any given night. They’re a band with a deep, deep catalogue spanning two decades (they’ve been around a decade longer than most casual fans even realize), so no combination of 15 or so songs, no matter how obscure, hit-filled, or fan-geared could ever please the entire audience. A random smattering of tracks each night seems to be the most democratic approach, and as a Modest Mouse fan who, 7 or 8 years ago would have called myself a super fan, that’s more than alright by me. Though I would have loved to have seen the especially eclectic and largely more far-reaching performance of night one, I feel like we got a better, more rounded show on night two; essentially the same vibe and crowd, but with a bit more cohesive a selection of songs. This marked by third Modest Mouse show of 2015 (after not having seen them since 2007), though the other two were festivals and I was much further back. The club experience is incomparable, and the sound and vibe were much better this time around. I don’t remember Modest Mouse fans being so eccentric back in the day, though maybe I just never noticed. 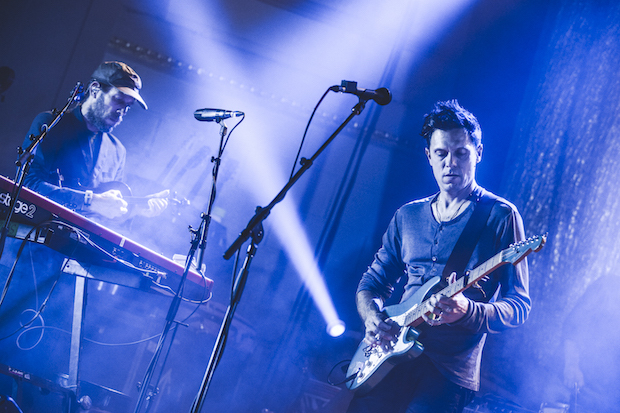 Moreso than your typical indie rock band, the group attracted hippies, fans in costume, and countless souls of all ages and walks of life unafraid to dance crazy, act wild, and generally go nuts for the career-spanning set. 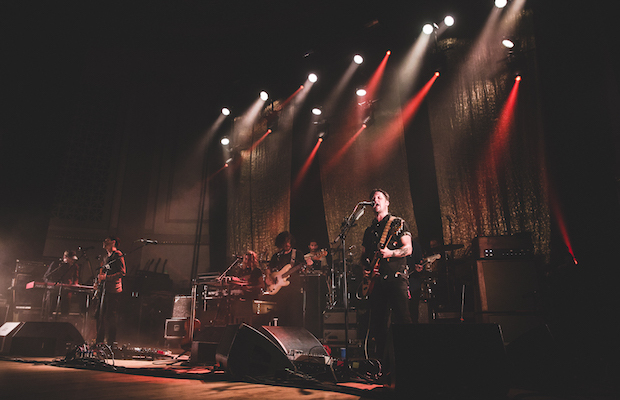 The eight piece band, though at times a bit excessive, helped frontman and fearless leader Isaac Brock hit every note and nuance, and, if it’s true that he was feeling a bit under the weather the evening before, I surely couldn’t tell. Once again, the stage banter and wisecracking were plentiful, as he brushed through a set of fan favorite songs like “Ocean Breathes Salty,” “Tiny Cities Made of Ashes,” and “Dashboard,” plus some gems such as obscure Lonesome Crowded West bonus track “Baby Blue Sedan” and Ugly Casanova cover “Here’s to Now.” By the end of the show, similar in pacing and in ambiance to the night prior, the band seemed in tune with what the audience wanted to hear, ending with familiar hits “Strangers to Ourselves,” “Dark Center of the Universe,” “Paper Thin Walls,” and “Spitting Venom,” a bit of an uneven pace to close with, but a fitting one for any big fan of Modest Mouse. In all, the group delivered two complimentary, comprehensive, and gratifying evenings in Music City, and I hope they’ll make it a priority to get back soon. Don’t miss Skylar Grey w/ TeamMate & Conner Youngblood | TONIGHT @ Mercy Lounge!